WE NEED A FINANCIAL SYSTEM GROUNDED IN FAIRNESS. 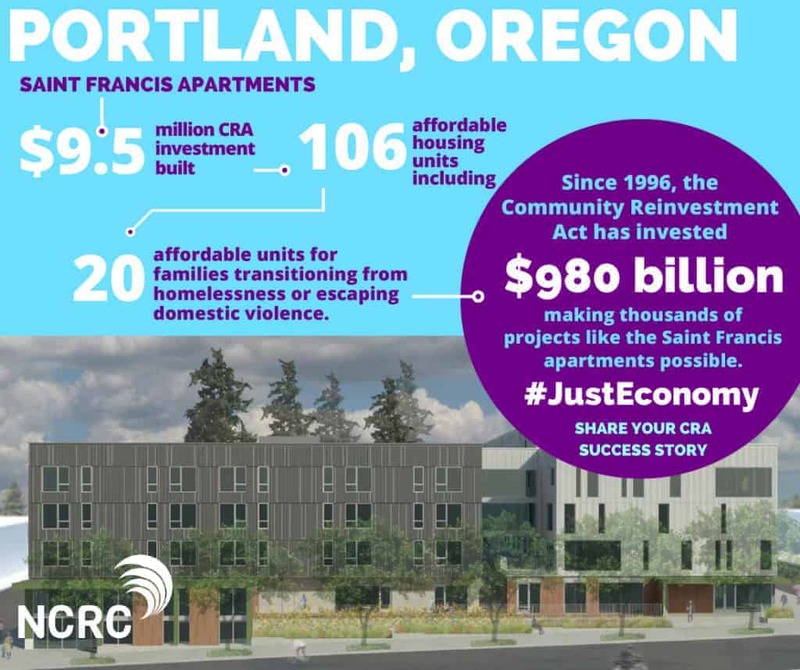 We need a strong Community Reinvestment Act. Welcome to the biggest fight in decades for fairness in America’s housing and finance laws. 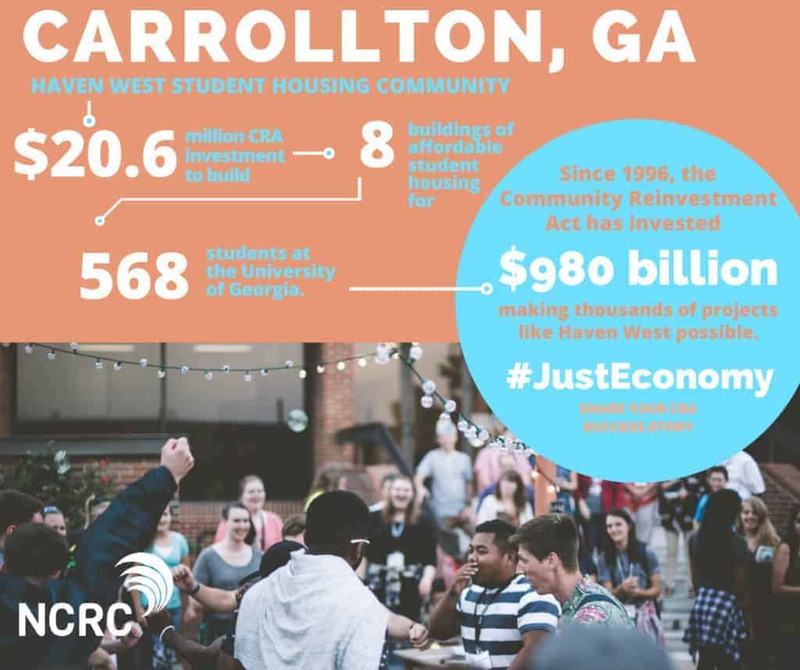 The Community Reinvestment Act was a landmark civil rights law passed in 1977 to end discrimination that was once common in America’s banking and housing markets. Discrimination in lending is still a problem, and we’re concerned about ideas from some regulators that would substantially weaken the law. We can’t allow that to happen. WE NEED TO MODERNIZE CRA, NOT RELAX IT. In August 2018, the Office of the Comptroller of the Currency issued an Advanced Notice of Proposed Rulemaking, the first formal step required to revise CRA rules. The public comment period closed Nov. 19, 2018. The OCC must review public comments before it issues any proposal for new rules – and that would be followed by another public comment period. 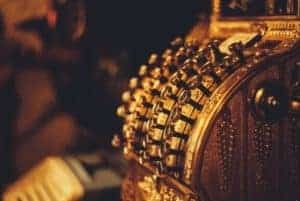 Two other agencies, the Federal Reserve and the Federal Deposit Insurance Corporation, set and enforce CRA rules for some banks. They will also review the comments submitted to the OCC. 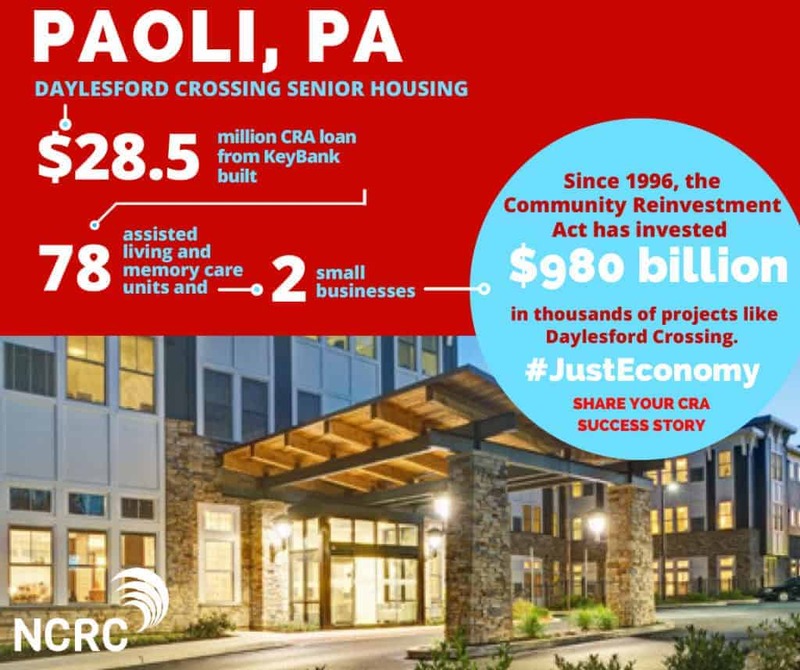 This March, at our #JustEconomy Conference, we enter the “second stage” of our #TreasureCRA campaign. There will be sessions on understanding CRA reform, our most popular topic each year, as well as an opportunity to address the new and more diverse Congress during the conference’s annual Hill Day! Read NCRC’s sign on letter for CRA ANPR here. Read NCRC’s comments regarding Advance Notice of Proposed Rulemaking here. We will not be silent while others try to dismantle one of the landmark laws of the Civil Rights era. Keep up with the campaign to strengthen CRA. out of a law that’s supposed to strengthen communities. Geography must remain the focus of CRA exams for all banks. We want banks to be graded based on every geography where they lend or receive a significant percentage of their deposits. Lending isn’t tied to bank branches the way it used to be. But branches are still essential for low- and moderate- income people. Geography still matters. Neighborhoods still matter. We can’t eliminate geographic assessment areas. We can’t allow banks to cherry-pick where they lend – and where they don’t lend at all. We can’t allow banks to ignore the credit needs of distressed and vulnerable communities. We can’t allow a reboot of redlining. Protect communities of color with explicit language against racial discrimination. We want new language explicitly stating the law’s obligation to fairly serve all races and ethnicities. Banks that engage in large-scale illegal and harmful activities should fail their CRA exams. In 2017, the Office of the Comptroller of the Currency (OCC) watered down the penalties for discrimination. We can’t allow regulators to allow banks to pass CRA exams if they discriminate. 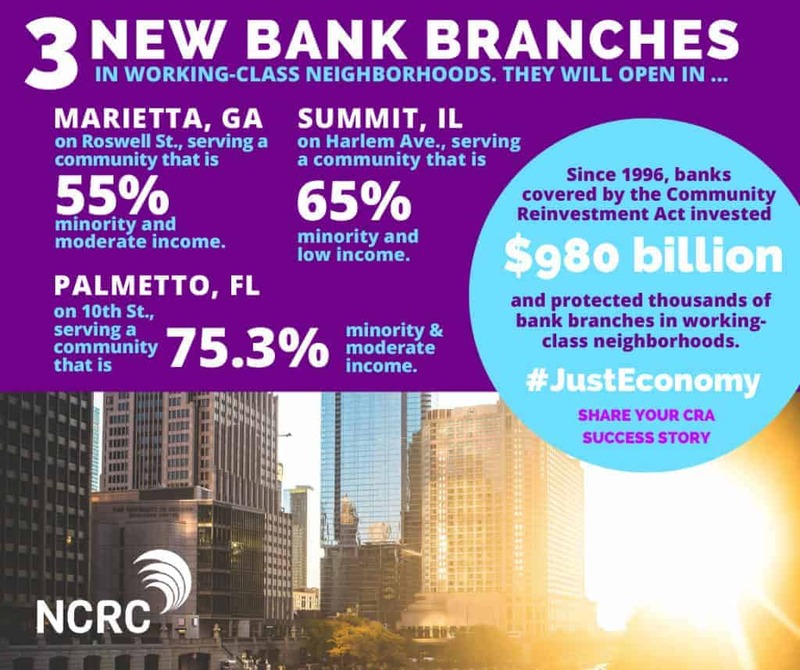 We want the Community Reinvestment Act applied to all lenders, the same way it’s applied to traditional banks. The financial landscape has changed. Mortgage companies, credit unions, fintechs and other “nonbank” lenders now make the majority of the home loans in America. We can’t allow a majority of mortgage lenders to avoid CRA requirements. Banks and the Treasury Department have acknowledged that the financial landscape has changed, and that CRA should be updated to reflect the current marketplace and increase safe reinvestment in our communities. Set a clearly-defined CRA grading system. We want a clearly-defined grading system that emphasizes lending, branches, fair lending performance, and responsible loan products for working class families. We want each of these important aspects to get their due weight in analyzing a bank’s CRA performance. We do not support one ratio that lumps all of a bank’s activity together. We cannot allow a rating system that makes it easy for banks to pick the lowest hanging fruit and ignore critical community needs. Don’t be afraid to let banks fail. We need regulators unafraid to stand up to financial institutions. If a bank fails its CRA exam, or wishes to acquire a bank with a better CRA grade, agencies should recognize and encourage community benefit agreements. We want to motivate a race to the top across our financial industry. This spring, the OCC weakened its CRA enforcement by allowing banks with failed CRA ratings to merge, acquire, and grow their business. We cannot allow regulators to adopt this policy. The “wink and nod” CRA exam has gone on long enough. Reforming CRA must not become a pretext for relaxing CRA. Read the rest of our principles for CRA reform. Here are some things you can use in your email and social media messages to people you know and to leaders who need to hear from us. We need to modernize and strengthen CRA, not weaken it. The Trump Administration wants to dismantle all sorts of civil rights protections for minorities and communities of color. Now they’re talking about watering down rules that prevent discrimination in lending. We can’t allow this to happen. There is no good reason to make it easier for lenders to discriminate against credit-worthy borrowers. There’s still compelling evidence that discrimination remains a problem in many communities. We support modernizing the law, and strengthening it. But discrepancies in lending to low- and moderate-income communities and people of color remain a problem in communities nationwide. Regulators should be working to set and enforce rules that solve that problem, not to making life easier for banks that are enjoying record profits. The largest banks have retreated in lending to low- and moderate-income borrowers while 98 percent of banks pass their CRA exams. The law needs to be modernized and the rules and tests for compliance need to be strengthened, not weakened. 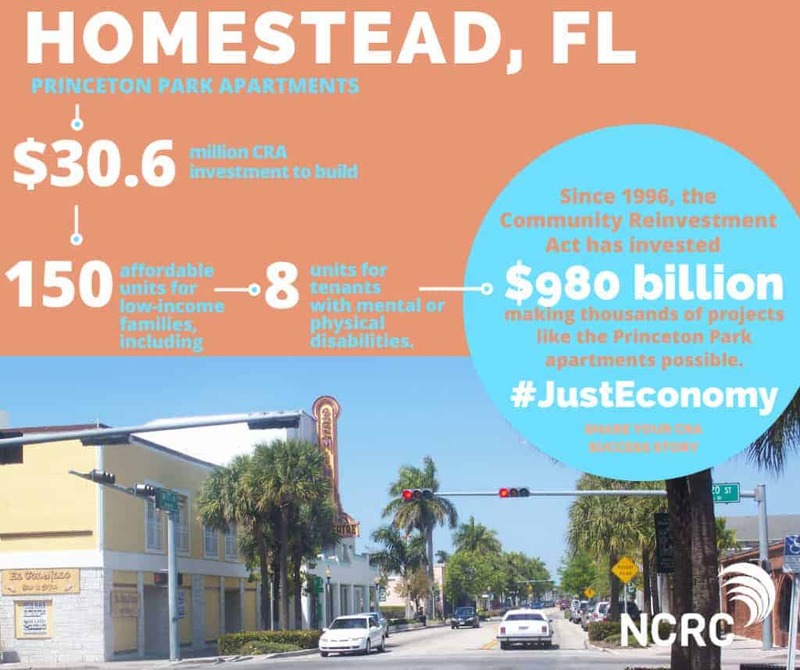 We have been fighting to strengthen and modernize the Community Reinvestment Act for over a decade. We must remain clear and consistent that the changes to CRA must not sacrifice the spirit and intent of the act – to increase access to capital, credit and basic banking services in underserved communities. 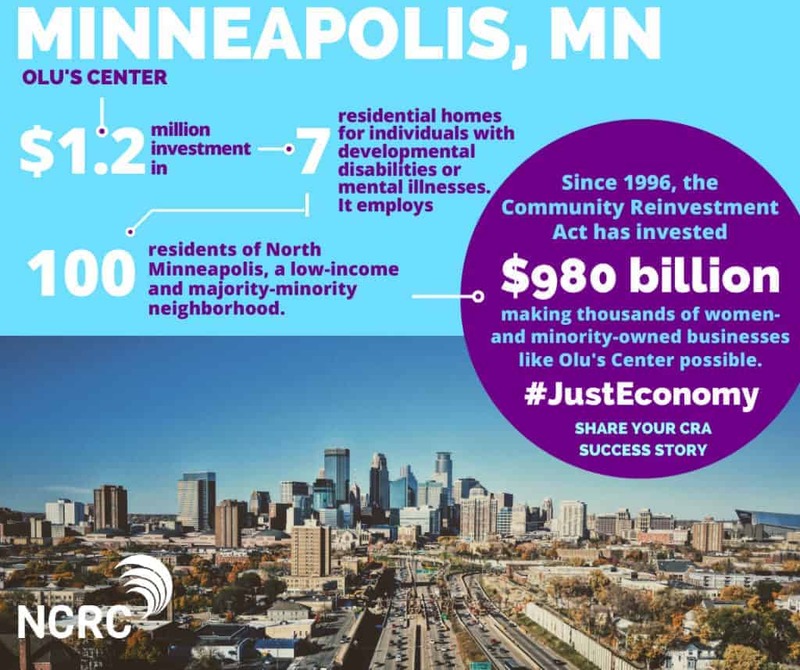 We need CRA, and we need it strengthened and modernized to combat rising wealth inequality and place-based disparities in economic opportunity,. Regulatory reform must invigorate CRA, not eviscerate it. 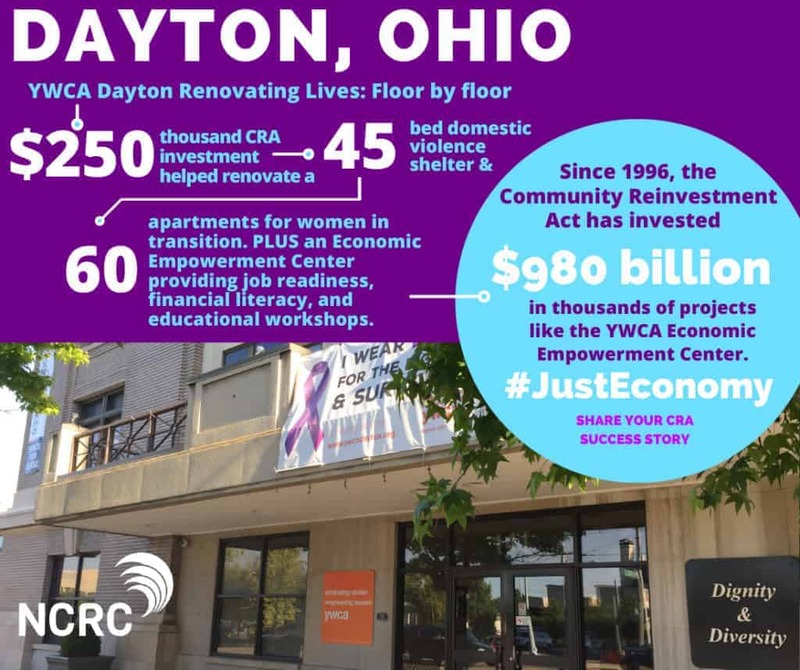 The Community Reinvestment Act was a landmark civil rights law passed in 1977 to end discrimination that was once common in America’s banking and housing markets. For decades, entire neighborhoods were excluded from lending to buy homes and build small businesses. Those were poor and working-class neighborhoods where minorities and immigrants lived. That practice was called redlining. It prevented millions of people from building personal wealth through home ownership and entrepreneurship. The law made a huge difference. A trillion dollars or more went to low- and moderate-income neighborhoods that were once excluded from the American Dream. But discrimination in lending is still a problem. We still need CRA, and neighborhoods still need lenders to live up to their obligations under the law. Hundreds of national and local partners from around the country are standing together to ensure banks continue serving the needs of low- and moderate-income communities. We sent a CRA sign-on letter to all three banking regulators laying out guiding principles for CRA reform. If the OCC ultimately proposes one metric that is determinative of a bank’s CRA grade, then the end result will undoubtedly be less responsiveness to local community needs. 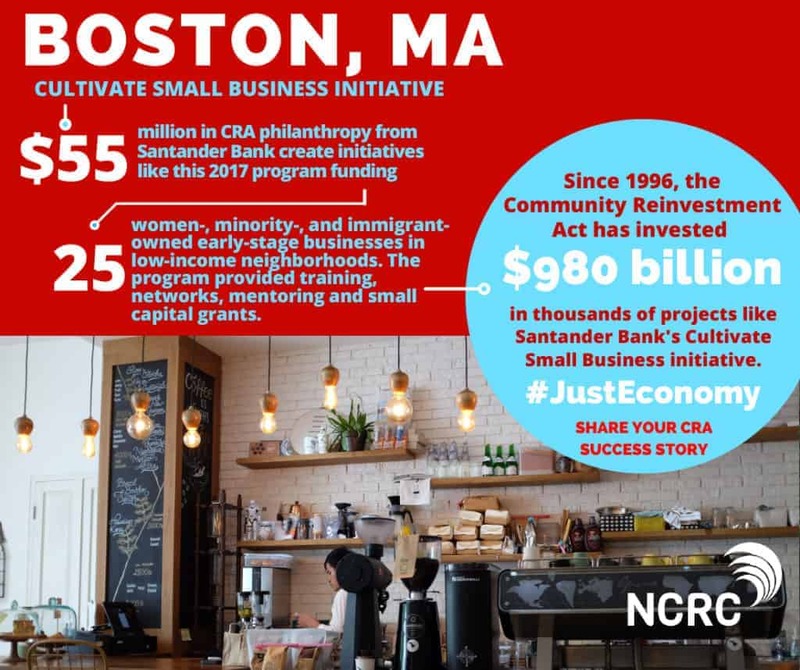 Check out NCRC’s recommendations for strengthening the Community Reinvestment Act (CRA), a law designed to stop discrimination in mortgage and small business lending. WHEREAS, CRA should explicitly state the law’s obligation to fairly serve all races and ethnicities; banks that engage in large-scale illegal and harmful activities should fail their CRA exams. BE IT FINALLY RESOLVED, that the (organization’s name), will support efforts to hold a bank accountable if it fails its CRA exam, or wishes to acquire a bank with a better CRA grade, and urge agencies to recognize and encourage community benefit agreements and efforts that motivate banks to make more loans, investments, and services available to traditionally underserved communities. We’re counting on these people and organizations. Citizens just lost an invaluable protection from the ‘fine print’ that strips their right to go to court when cheated or taken advantage of by corporations.